The Bowery Hotel has purchased a fleet of red bikes for its guests to use for free. The Bowery Hotel is going green - in a red sort of way. The downtown hipster hotel is rolling out a new amenity for guests: free bikes. Painted red and fit with a basket the bikes will be available first-come, first-served to hotel guests. 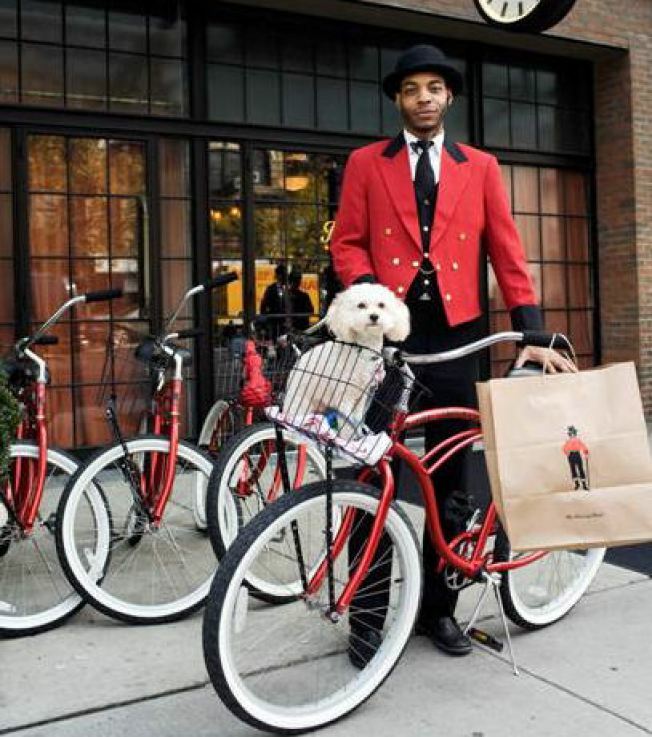 Each bike comes with a helmet, lock, and the hotel's “Bowery Boy” logo. Hotel owners Sean MacPherson and Eric Goode are also making the cruisers available at their Maritime Hotel at the edge of the Meatpacking District. Guests may want to download a copy of the free 2009 edition of the New York City Cycling Map , which was released earlier this month.